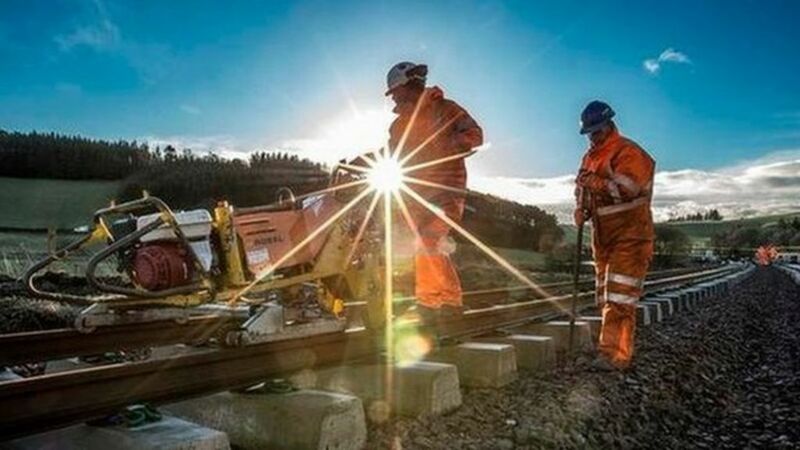 Transport officials from the Scottish government have held talks on the possibility of extending the Borders Railway beyond Tweedbank. Infrastructure minister Keith Brown has confirmed that officers have discussed a feasibility study on linking the rail line with Carlisle, through Hawick. News of the discussions emerged in response to a parliamentary question tabled by MSP Jim Hume. Scottish government transport officials hold talks on the possibility of extending the Borders Railway beyond Tweedbank.